Home > Columns > John Manzione > Big Brother – Coming For Your eCigarettes? Big Brother – Coming For Your eCigarettes? The FDA is an agency of the federal government that does a lot of good work. As much as my libertarian beliefs go against any sort of interference into my personal life goes, I do believe that some regulation is needed in today’s modern society. But the FDA can also do a lot of harm when it over regulates or refuses to admit that a past regulation was wrong. A year ago the FDA decided not to regulate eCigarettes as a drug delivery system and instead regulate them in the same classification as tobacco cigarettes. Some people in the eCig industry were quite happy with that, rightly so by the way. But, as we can see now, because eCigs ARE regulated as tobacco cigarettes are any move by the government to further restrict or tax tobacco cigarettes, the eCigarette will be affected in the same way that tobacco cigarettes are. As it turns out, regulating the eCigarette as a tobacco product was a mistake. The FDA should classify them as what they are, potentially lifesaving, and most assuredly safer and healthier than tobacco cigarettes. There should be a separate classification, one that assures safety and oversight without the broad based restrictions that are being applied to cigarettes. Our government is corrupt. All governments are. By their very nature they are corrupt. Whenever anyone has any type of control over another there will be abuse, deception, cruelty, lies, and inevitably, corruption. Self-interest reigns supreme in government. It is, and always has been, a necessary evil. Ignoring this evil is to deserve the loss of our own freedoms. “We the people” should control our government, but it is the government that wishes to control us. In this regard, there’s nothing new here. Not since the times of the Founding Fathers has any administration believed that people cannot run their own lives as much as the current administration. For them, we are puppets. We are simpletons who cannot choose the proper path and it is up to them to make sure who do not do anything to harm ourselves, or to enrich ourselves for that matter. We, as a people, should strive for mediocrity, according to the man in charge. To be or want anything more is to be selfish, racist, and wrong. So today I will once again write about how our freedoms are disappearing. Even our rights to use a safe product like an eCigarette are succumbing to the self-righteous ‘assclowns’ in cities, states, and federal officials. At each and every level, city, state, and federal politicians think they can best serve the people by taking away the decisions we make. Sometimes slowly, so slowly you don’t even notice until it’s too late. Decisions that are yours alone to make are being decided without you, whether you like it or not. It’s about control, plain and simple. The current “powers that be” are practicing the art of deception in ways that can only be imagined by writers of fiction. The faces you see on TV speak lies with such earnest that it is easy to believe them. They will tell you that they are a post-racial government and then use race to divide us. They will tell you that the rich must “pay their fair share”, and never mention that more than 50% of us don’t pay a dime in federal taxes. Yet, they are believed. Why? As Howard Beale would tell you, they are on Television. They are inherently unfair. To them, deception is a means to an end. And the end is to wrestle control of your life from you, in order that they may fix what isn’t broken. These things, these deception and lies and corruption do not belong to a single party, they are all guilty. The modern politician cares about one thing; power. Power to control, power to decide your fate, power to enrich themselves are your expense. There is no innocence in government. And so here is how I tie in today’s tirade into the subject we write about, eCigarettes. As you will soon see, by regulating eCigarettes in the same category as tobacco cigarettes, the government has put it out there that the safe alternative to tobacco is just as bad as tobacco, when the truth is anything but. Scientists will tell you that there is little difference between the drugs nicotine and caffeine. Both are somewhat addicting, thought admittedly nicotine is more addicting to most people, and both have benefits and negatives. Yet, caffeine, because it’s found in abundance in coffee, and is in fact the driving force for consuming coffee, has virtually no restrictions in its use. Caffeine is found in hundreds of products now, and they are promoted, not hidden away. Red Bull and other products are created around caffeine and some companies brag about how much caffeine they put into their product. Caffeine keeps you alert, sharpens your focus, it even gives you an edge when the remaining decisions you still have need to be made. Caffeine is good; caffeine is harmless… because there’s money in caffeine. Nicotine, on the other hand, is the epitome of evil according to the powers that be. 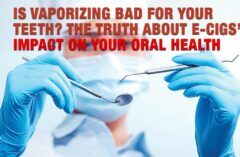 Found in abundance in tobacco, nicotine is the reason millions of people have died excruciating deaths, again, according to the powers that be. Never mind that nicotine has nothing to do with the deaths of millions of people, that instead it is the hundreds of carcinogens found in cigarettes that cause those painful deaths, never mind that nicotine has many, if not all, of the benefits of caffeine. It doesn’t matter, or rather, the truth doesn’t matter. Nicotine is the whipping boy. Caffeine is the crown prince. The eCigarette movement is a direct threat to big government, as well as big tobacco. Big tobacco (well, Lorillard has anyway) reacts by swallowing up one of the largest eCig companies, blu Cigs, for 135 million dollars, cash. Big government reacts by putting eCigarettes under the direct control of the FDA, just like tobacco cigarettes. Except that eCigarettes are NOT tobacco cigarettes. 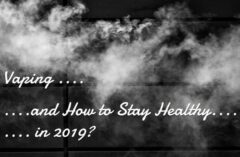 Lorillard understands that it must, at some point soon, get out of the business of cigarettes but, because it knows cigarettes so well, and smokers so well, the eCigarette is a logical acquisition for them. And they are right. Soon the rest of big tobacco will make their acquisitions and each will develop their line of eCigarettes. That is, unless the government stops them. Nicotine is not tobacco, just as caffeine is not coffee. It is still legal to smoke cigarettes in the United States, but the day is coming when that will not be the case. As soon as big government finds a way to exist without tobacco taxes you’ll see a move to ban tobacco products outright. When that day comes you just might see your eCigarettes follow the same fate. Visiting a Walgreens drug store yesterday I noticed that the price of a pack of cigarettes as gone up to $6. That’s here, in Florida. It is even more expensive in big cities like New York, Chicago, and L.A. Most of that price is made up of state and federal taxes. At $6 a pack it should be something only the very well off can afford, but sadly the 43 million Americans that continue to smoke despite the cost, and despite the science behind it that has long ago concluded that tobacco is a very bad plant and should NOT be smoked, or that the most popular final product, the cigarette, is filled with additives, chemicals that will, without a doubt, cause cancer, heart disease, and more, in many people, will continue to smoke unless the eCigarette is given the freedom to grow with as little regulation as can be used to insure the quality of the e-liquid and the safety of the batteries. Without this freedom eCigarettes will remain a niche product that is regulated so tightly that it can never reach critical mass. While one side of the government, the activist side, fights to have eCigarettes regulated out of existence, the other side, the ones that see the dollar signs (taxes) in their eyes with the potential to tax the eCigarette the same as tobacco cigarettes. Truth, freedom, and the people’s choice…none of that matters. It’s either Activism or Profit; take your pick. Soon after eCigarettes landed on our shores the government placed them under the control of the FDA (FOOD AND DRUG ADMINISTRATION.) because of nicotine. At first, this was thought to be a good idea. Regulating eCigarettes, especially because they come from China, (where getting rich means taking any risk at all). Knowing that the Chinese are perfectly willing to take drastic measures in the name of profit is a good enough reason to regulate the product. eCigarettes and tobacco cigarettes are the same thing, according to big government, and all new cigarette laws that go into effect will be applied to eCigarettes as well. This is, on the face of it, unfair to eCig makers and users alike. Today, the eCigarette seems to be too good to be true. They are safe, or safer, then tobacco cigarettes and they cost less than a third of tobacco cigarettes. Naturally, this will not stand. The “tax everything” side of the government is looking at a whole new revenue stream with eCigarettes, and the temptation is too much. The FDA regulates many things, from your cough medicine to makeup, to your microwave. If the government banned cigarettes would that mean that your microwave would be banned as well? Of course not. So why include eCigarettes? Why are both products regulated in the same classification? The only possible answer is money. Instead of classifying eCigarettes the same as tobacco products the government should be standing behind the eCigarette and tell the 43 million people that wish to smoke that eCigarettes are safer, healthier, they don’t cause cancer, they don’t smell, they don’t release carcinogens into the air, there is no smoke, thus no second-hand smoke, and so on. Oh, and its cheaper too, so you’ll have more money to spend on things like food and medicine. They should leave eCigarettes alone or at least classify them the same as coffee. Don’t tax them like tobacco products, don’t try to ban them, and in fact, don’t bad-mouth them. But you and I both know this won’t happen. If you kill your enemy you will need to find another one. So the cycle starts again. One side of big government will attempt to ban them and one side will attempt to tax them. By the end of the current administration’s second term (if they win reelection) the cost of eCigarettes will be as high as tobacco cigarettes, or they will be banned outright. And the packages will carry the same warnings that cigarettes do, despite the fact that eCigarettes are basically harmless. I had an appointment with my doctor today. I took with me a freshly charged battery and a fresh cartomizer. While I was awaiting the doctor in a tiny exam room (no larger than 8ft by 8ft) I puffed away on my eCig. I spent a total of about 10 minutes enjoying my eCigarette, and then I put it back in my shirt pocket. When the doctor came in he said nothing. After a while I asked him if he smelled anything when he came in. Thinking I meant something entirely different he smiled and said, “Don’t worry, I didn’t smell a thing”. I laughed and said, “No, no, I was smoking an eCigarette in here for about 10 minutes. I wanted to know if you could tell.” He said he hadn’t noticed anything. He also told me that it was a good idea, and that he saw nothing wrong with it. How can you possibly ban a product that leaves no smell, and does not irritate anyone’s senses, simply because it looks like you are smoking? Where is the fairness in that? Government always goes too far and the current one in power is grabbing your personal freedoms at every turn. If you don’t fight back you are simply telling them that you don’t care. They will continue to take your liberties until you cry uncle, or until you have no liberties left. Our focus here at Spinfuel is the eCigarette, but I could have chosen any of dozens of examples to illuminate the freedoms being lost to big government. Because the eCigarette has saved tens of thousands of lives in a very short time, and because it can wipe out tobacco without regulation and save millions of lives, we support eCigarettes to its very core. We want the freedom to use eCigarettes and we don’t want big government to tax the hell out of it simply because it can. The users of eCigarettes and the makers of eCigarettes need to ban together and declare our freedom to puff away. Pay attention to your local city council meeting and whenever smoking is the topic of discussion attend the meeting and make sure that eCigarettes are kept out of any new ordinances. Make them play fair. Bring your eCigarette with you and show them how mistaken they are to include eCigarettes in the same breath with tobacco cigarettes. Don’t let them win without a fight. Today, most of the eCigarette issues are being kept at the local level, but that will soon change. We need to stop this in its tracks; once it gets to the federal level we’ve lost. Those politicians at the federal level fear no one other than the people who give them money. The “people” and their personal freedoms mean little to these people. Power and money mean everything. This is a big deal. It will mean the difference between an outright ban or outrageous prices, and the freedom to use eCigarettes in peace, without government interference. And, if you don’t think this is a big deal talk to an ex-smoker who has discovered the eCigarette, ask that person if getting off tobacco was a big deal. We ask that the various government agencies, from the tiniest town to the federal level look at the eCigarette with an open mind. Weigh the good and the bad, and then back off and let us be. The government is supposed to work for us, regulated by us, not the other way around.